Take the mystery out of bike maintenance with this comprehensive guide from our Service Manager Dan. 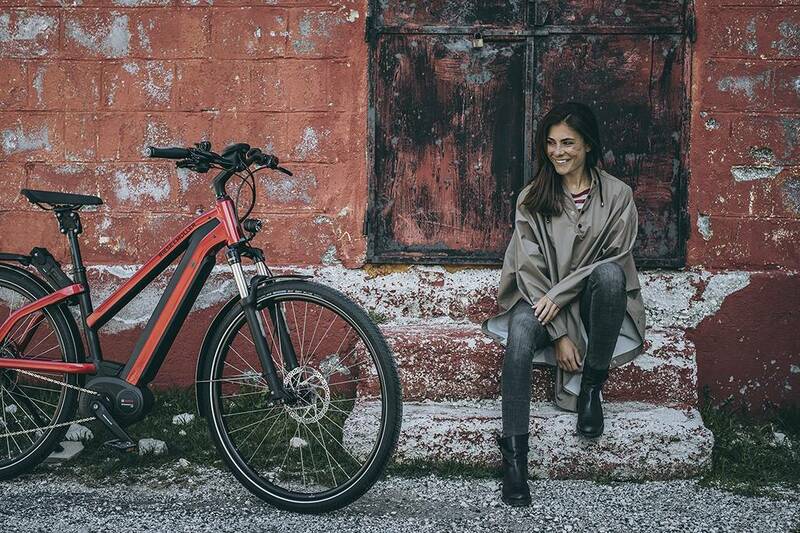 For all intents and purposes, E-bikes are still machines that require human power and thus will require regular maintenance in much the same way as your traditional bike. Service intervals are recommended for various components of your bike such as the drivetrain and suspension. Some of these are fairly strict and others a bit more lenient. To ensure you are not spending money when you don’t need to, or to avoid having to spend significantly more down the road due to neglect, we recommend having your service done by a qualified bicycle shop, whether E-specific or not. Below are some helpful tips to keep your e-bike running as long as possible. Check Your Tire Pressure. Whether you are on a skinny tire commuter or a fatty MTB, tire pressure can make all the difference. Soft tires can decrease your range significantly while riding an e-bike and conversely, stiff tires are just uncomfortable. Before every ride, check your pressure and adjust accordingly, either with your floor pump or the extremely handy Topeak Smartguage D2. Check Your Bolts. There is nothing worse than being miles out into your ride and having a crucial part of your bike loosen or fall off. Usually this can be quickly remedied with an adept multi-tool like the Crank Brothers m19 tool. Occasionally, however, prolonged use with loose bolts can cause irreparable damage. To avoid walking home, check over all bolts quickly before each ride, including stem, handlebar, brakes, cranks, pedals, saddle, and axles. CLEAN YOUR BIKE!! After every ride your bike should receive at least some attention. Simple things like road grime or even your own sweat can wreak havoc on your bike. Salt is corrosive and dripping sweat onto your bike could potentially cause a failure. We recommend at the very least a quick wipe down of the frame with something like Pedro’s Bike Lust for a little extra shine. Lube Your Chain. If your E-bike has a traditional chain and derailleur setup, then you should be lubing your chain every ride or every few rides. Doing so after each ride allows the lube to soak in and penetrate into the chain, insuring your next ride has smooth shifting and a quiet drivetrain. It doesn’t need much, so be sure to wipe off any excess once applied to avoid attracting more dirt and grime. Our favorite lube for everyday use is the Triflow Superior Lubricant for everyday use or Pedro's Ice Wax for extended life between applications. Brakes (Every 3 Months or 500 miles). The most important component on your bike is often one of the most overlooked. Whether you have rim or disc brakes, ensuring they are correctly adjusted with plenty of meat on the pads is crucial. Check to be sure that your pads make contact with the rim or rotor in the correct spot and do not touch the tire. If your hydraulic disc brakes feel 'spongy' or do not bite until the lever pulls back onto your fingers or touches the handlebar, it is time for a brake bleed. This one is best left to the experts at your local bike shop. We recommend taking your bike in for a brake check every 3 to 6 months, depending on how much you are riding. Wheels (Every 3 Months or 500 miles). In addition to your brakes, your wheels should be inspected every 3-6 months or so to ensure they are tensioned and 'true'. At home you can check the overall health of your wheels by squeezing the spokes to see if all the spokes have similar tension. If you find one that is loose, or overly tight, take it in to your trusted shop for a true. Loose spokes will eventually break, causing unwanted wobble in the rim and the potential for catastrophic failure down the road. Keep rolling smooth and efficiently by having your wheels serviced regularly. Bearings/Moving Parts (Every 6 Months or 1500 miles). At least once every riding season, have all of your moving parts on your bike serviced. Inside your hubs, headset, bottom bracket, and suspension pivots (if you have them), are bearings that don’t play nice with dirt and grime. These should be cleaned, greased, replaced if necessary, and torqued to specification periodically in order to keep your bike running like the day you bought it. You may even find increased battery range once this service is performed as clean, torqued bearings will roll with much less resistance. These are also the common areas for the dreaded creaks and squeaks to reside. Regular maintenance means you won’t have to crank up the headphones to drown out the cries of help from your neglected bike. Suspension (Every 6 Months or 1500 miles). If your bike is outfitted with suspension, either front or full, you should be considering taking it in for suspension service at least once a season. The reasoning behind this is that contamination of the internal fluid with water, dirt, or whatever may have found its way inside your suspension, will change the characteristics of your suspension. Usually this means that it will stiffen up and possibly cause damage to the suspension internals. You DO NOT want that to happen. Keep your bike plush by servicing your suspension regularly. Any questions? I'm always here to help. Feel free to give me a call at 888-509-4210 or email dan@oregon-ebikes.com with any service inquiries or concerns. Our goal is to keep you riding happy, all year long!